Today I'm hopping with the Crazy Crafters & I thought I would show you this gorgeous card I made for a gorgeous little girl! My brother & his wife gave birth to baby Abigail on 24 September, weighing just 2.77kgs, she is perfect! This is the card I made for my in laws to give them. 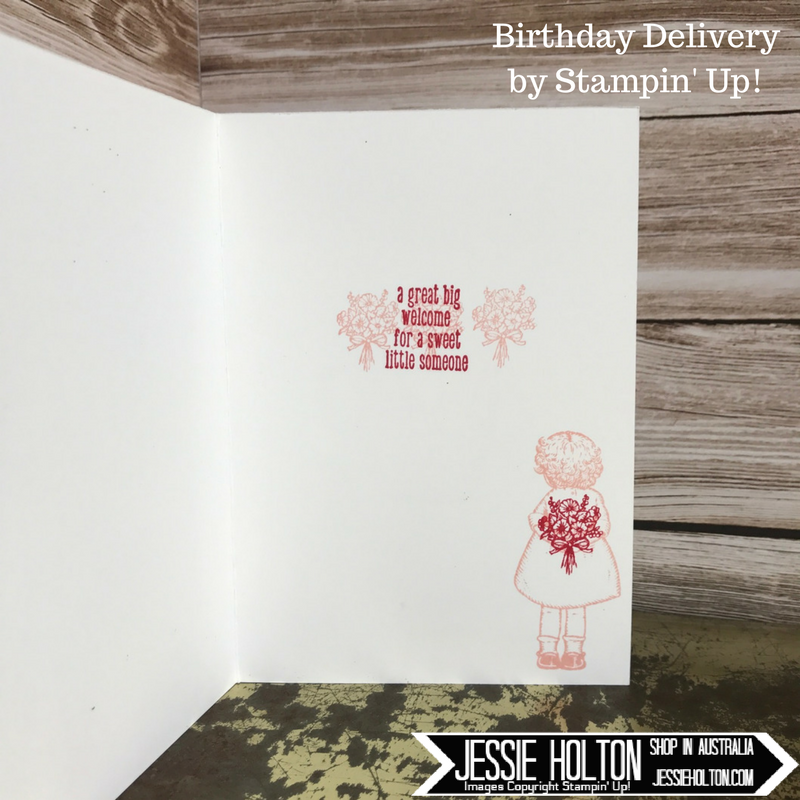 I have used a Thick Whisper White cardstock base with a layer of Real Red & a layer of the Powder Pink design from the Fresh Florals Designer Series Paper (DSP) Stack. I've die cut the Red Glimmer Paper from the Layering Ovals Framelits & the girl from the Stitched Shapes Framelits. Then I have cut the finer girl image with the Birthday Friends Framelits & reattached her with Dimensionals. I've also added some Gold Sequins from the Metallics Assortment. The sentiment comes from the Happy Birthday Gorgeous stamp set, cut with the Classic Label Punch & inked with Real Red & Powder Pink. The little Gold Banner is a sticker from the Love Today Planner. The red ribbon is retired. Note to self: need to get some red ribbon! On the inside, I have stamped the image of the girl & the flowers from the Birthday Delivery stamp set in Real Red & Powder Pink. 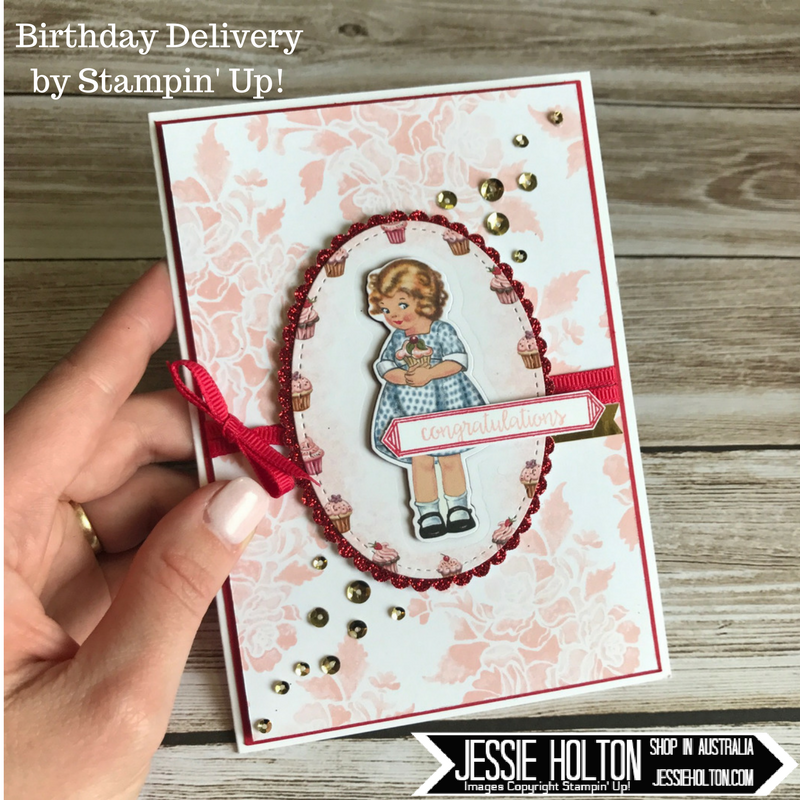 The sentiment is from the A Little Wild stamp set.